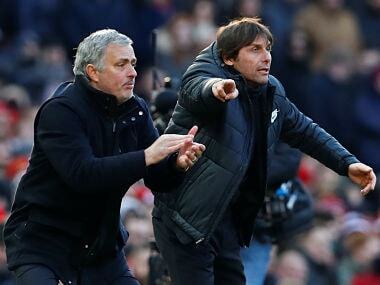 Manchester: Manchester United manager Jose Mourinho believes it was important for two coaches of his and Chelsea's Antonio Conte's stature to put their public dispute behind them by shaking hands before and after United's 2-1 victory on Sunday. Mourinho and Conte's simmering rift exploded in January when the Portuguese cited an accusation brought by the Italian Football Federation in 2012 that Conte failed to report match-fixing involving his former club Siena during the 2010-11 season. Then coach of Juventus, Conte received an initial 10-month suspension, which was later reduced to four months, before being acquitted of the charges in 2016. Conte responded by calling Mourinho "a little man", but the two exchanged a smile before kick-off and embraced afterwards as United came from behind to win at Old Trafford thanks to goals from Romelu Lukaku and Jesse Lingard. "I think the handshake doesn’t need any words," said Mourinho. "I think that's what me and Antonio will want to show to everyone. 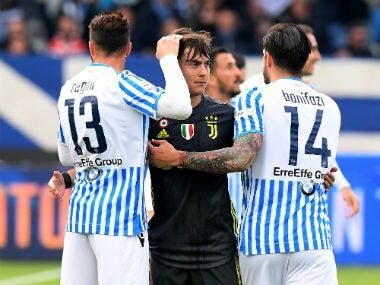 "The handshake before and after the match is an example that everything in football you have to move (on) and you have to respect each other. "Mourinho and Conte are not two ordinary persons in football. We have a history, we have an image and I'm really happy with that." Conte was less effusive when quizzed over whether he and Mourinho had decided before the game to bury the hatchet. "He wanted to see shake hands and we did the peace," said the Italian. On the field Mourinho got the upper hand, but only after Chelsea bossed the opening exchanges. 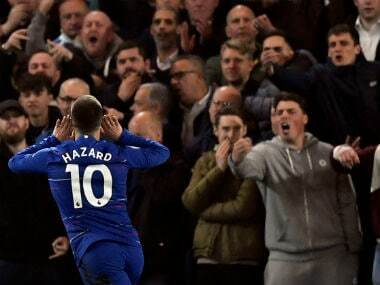 Chelsea went in front just before the half hour mark when Willian and Eden Hazard exchanged passes before Willian drilled home his fourth goal in three games. "The beginning of the game was blue," admitted Mourinho, who brought £89 million man Paul Pogba back into his starting line-up as part of a new four-man diamond shape in midfield. "We took a bit of time to adapt to some new positions on the pitch. The way we were playing the players in the midfield square they took a bit of time to find the timings to press. "We then found that balance and in the second half the team was solid, felt more comfortable to go in attacking areas and, without creating lots of chances because against Chelsea that is not possible, we created a few and score the winning goal that I think in the end we deserve." Victory was a huge boost for United's hopes of finishing in the top four as they move six points clear of fifth-placed Chelsea and back above Liverpool into second. 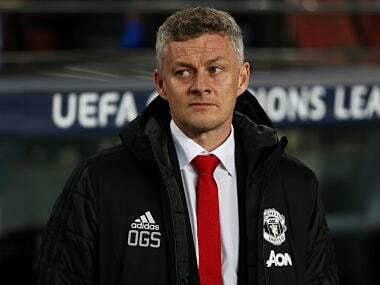 However, Mourinho expects the fight between his side, Liverpool, Tottenham Hotspur and Chelsea for three places behind Manchester City in next season's Champions League to go down to the wire. "We are four very good teams, all of them fighting to be in quarter-finals of Champions League and that shows the dimensions of the teams. "But from four of us somebody has to be out, so the fight will be big until the end." Conte lamented his side's inability to make the most of their dominance in the opening half hour as they slipped to a third defeat in four league games. "At the end we are talking about another defeat. "We must be disappointed because when you have this type of situation you have to manage the game better with experience and maturity to get three points."